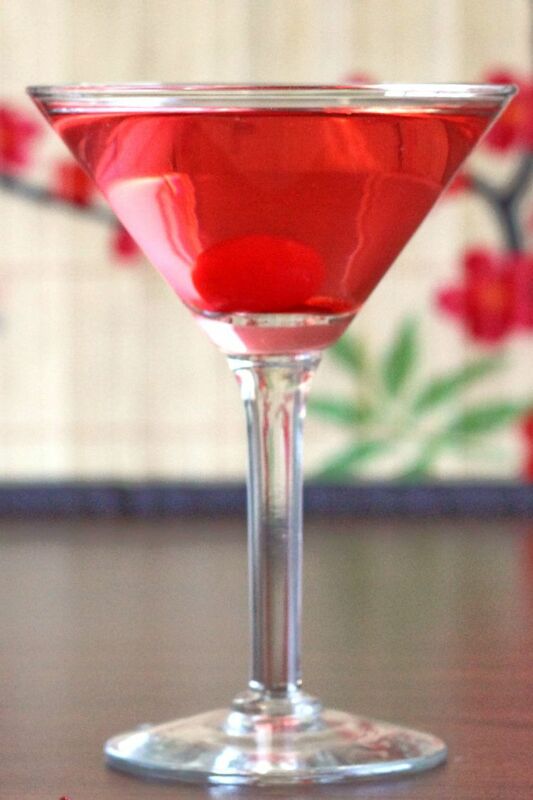 The Robin’s Nest cocktail is one of those divine taste sensations that make you not care that it’s reddish-pink. The mix of cranberry juice and creme de cacao is one of those things that just had to happen sooner or later, and should’ve happened much sooner. But better late than never. The usual berry pairings with chocolate are cherry and raspberry, but with enough sweetness, cranberry blows them both out of the water, in my humble opinion. It’s reminiscent of a chocolate truffle, but the tartness of the cranberry rescues it from being overly sweet. If you like cranberry and chocolate, this is a drink you definitely need to try. Enjoy a Robin’s Nest as a light dessert, as an aperitif, or whenever you want to chill out and enjoy something that pleases lots of different taste buds. There aren’t many lunch or dinner entrees I’d try to pair it with, but it goes very well with creamy desserts and baked items, such as a naked or chocolate-topped cheesecake, angel food cake or croissants. It’s also great with some triple cream brie cheese, or with salty snacks such as nuts or pretzels. This is also a beautiful drink, just a clear red liquid in the glass. You don’t even need any sort of garnish. It looks wonderful when you present it to a guest, and it’s so easy to make. You can even make a pitcher beforehand and just keep it in the fridge until everyone arrives. That way, entertaining is not only easier on you, but you can just top off glasses as you go along because it’s all pre-mixed. Shake all the ingredients together in a shaker with ice. Strain the mixture into a martini glass. That’s terrific! I’m so glad to hear they all enjoyed it!